The nickname ‘Shiners’ derives from the mid-1750s when South Normanton was at the heart of the ribbed stocking industry. The people involved in this craft worked long hours sitting at their windows on wooden stools, so much so that the backsides of their trousers became very shiny making them instantly recognisable as coming from the South Normanton area; since then local people have been referred to as ‘Shiners’. The club was originally known as South Normanton Miners Welfare and played under that name until 1990. Under the new name South Normanton Athletic joined the Central Midlands League in the 1990-91 season. The club’s first major success came in the 1993-94 season when they finished runners up in the Premier Division. This gained them promotion to the Supreme Division. The club made their first entry into the FA Vase in the 1994-95 season. In the 1996-97 season the old changing rooms were destroyed by fire. The club’s future lay in the balance and with limited time available members of the committee virtually worked round the clock to convert a derelict building into suitable changing rooms, which at the time were intended to be for a temporary period only the leagues deadline for completion was accomplished with little time to spare. At the end of the 1996-97 season, the club was relegated due to the 3-year flood light installation rule not being met; funds set aside to complete this project had been spent in establishing new changing rooms. The floodlights were completed in 1998 and the club was reinstated back into the supreme division. The teams best position being 3rd which was a promotion place. 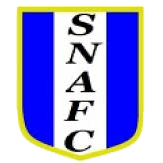 The club was promoted to the NCEL for the start of the 2003-04 season where they played till the club decided to fold at the end of the 2007-08 season due to an ageing committee and no new blood coming to the club. The club reformed with a new committee under the chairmanship of Phil Bailey, with new management and players. Despite five seasons of promise, the dream of promotion could not be realised despite numerous top three finishes. 2013 brought the summer appointment of former Borrowash Vics manager Mark Wilson to the club. The team started strongly with ten victories and two draws from the first 12 games, before a winter of weather postponements brought an abrupt end to the form. Victories became harder to come by in the New Year, and a run of one win in eight threatened to derail the promotion dream. However, Wilson steered the team to a strong run in and a runners-up finish. This was enough to guarantee a promotion to Step 6 East Midlands Counties League for the first time since the club’s re-formation. After finishing 2nd in the 2016-17 season they were promoted to the Midland League Premier Division after champions West Bridgford refused promotion.